In the new video for "Do It Anyway," the single from Ben Folds Five's forthcoming album The Sound Of The Life Of The Mind, Ben Folds and Co.—including Rob Corddry and Anna Kendrick, along with bassist Robert Sledge and drummer Darren Jessee—have an adorable studio session with the denizens of Fraggle Rock. The video is a collaboration between Nerdist and The Jim Henson Company to mark the upcoming thirtieth anniversary of the show's premiere, as well as the release of Ben Folds Five's first album since the group disbanded in 2000. 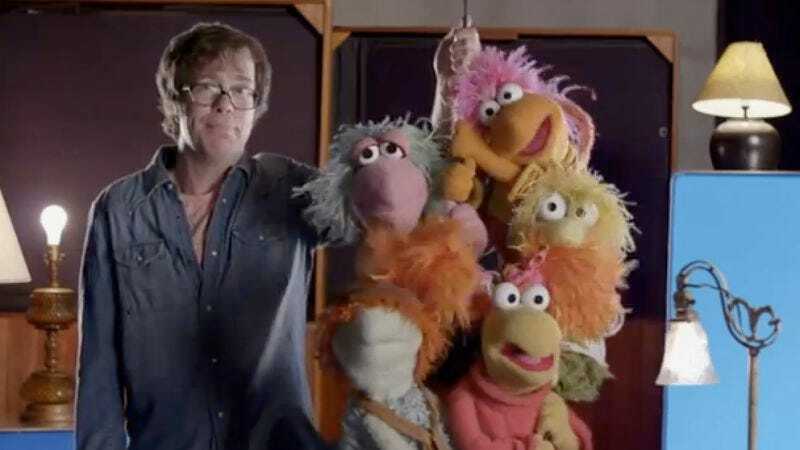 It's also probably the only chance you're going to get to see Ben Folds serenade Red Fraggle.